Our brand new Sara Dungarees pattern is full of hacking potential. Switch the strap fastenings to the front, add a bib pocket, change the leg shape, or even add the bib to your favourite skirt pattern for a super cute pinafore. There are loads of options! 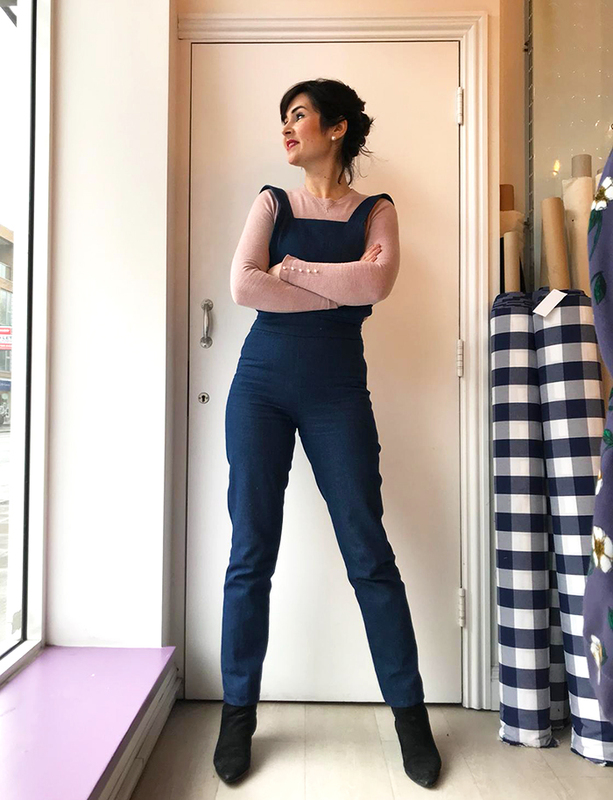 In this post we’ll show you how to taper the legs of your dungarees or trousers for a skinnier fit, as well as how to straighten them from the thigh to the hem to create a lovely swishy wide leg. 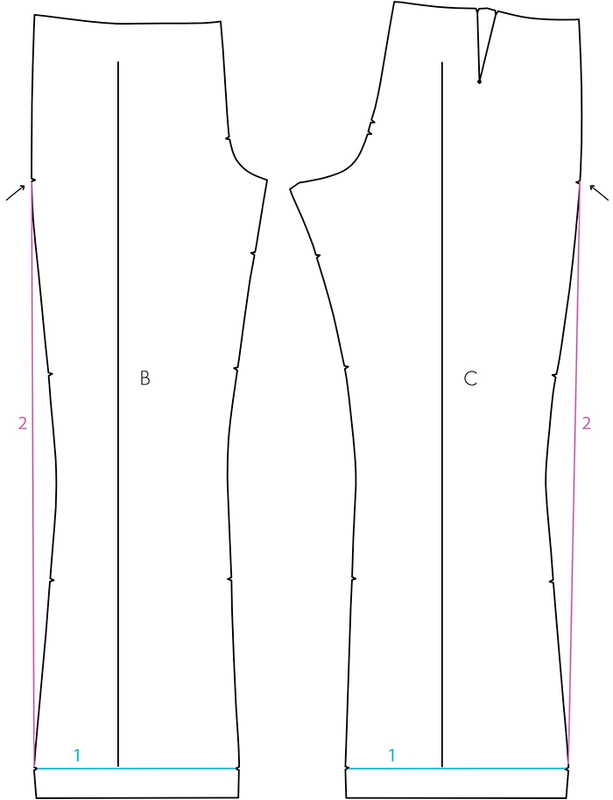 For this pattern hack, you’ll need your Sara Dungarees pattern, printed and assembled, a long ruler, pencil and a pair of paper scissors. 1. Lay out the front and back leg pattern pieces. 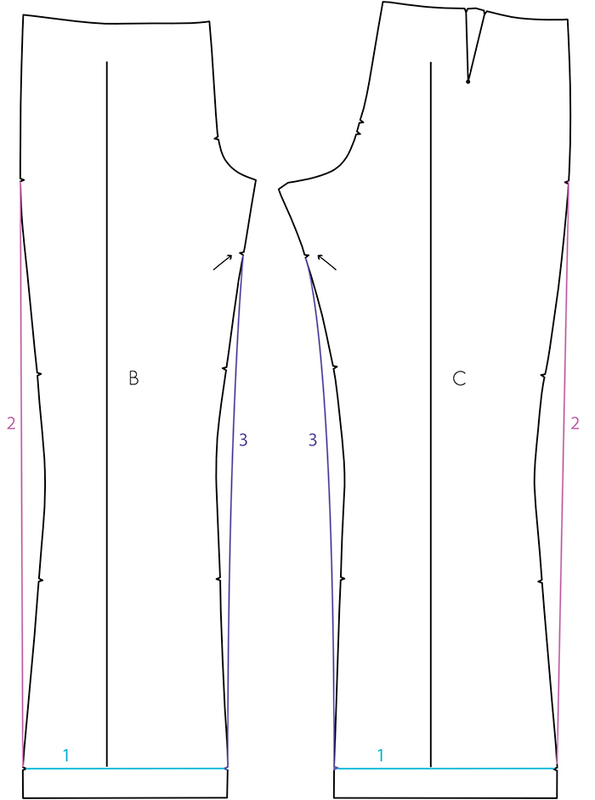 Draw in a line along the hem using the notches as a guide. 2. On this line, mark in how much you’d like to take off each leg – we suggest 5cm off each side at most (which totals 20cm off each leg!). 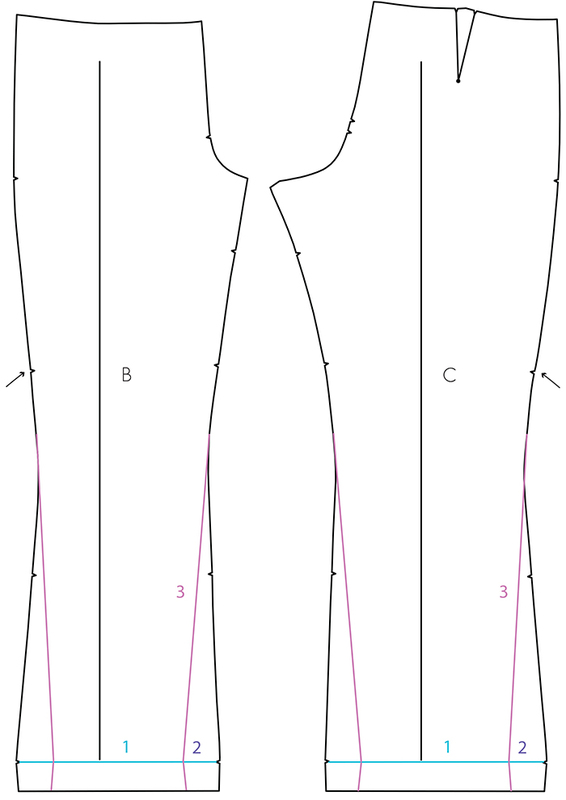 You want to take the same amount off the inside leg and the side seam to retain the balance. It’s better to take off a little less at this stage – you can take the leg in a little more as you’re making them if they aren’t quite as tapered as you’d like. 3. 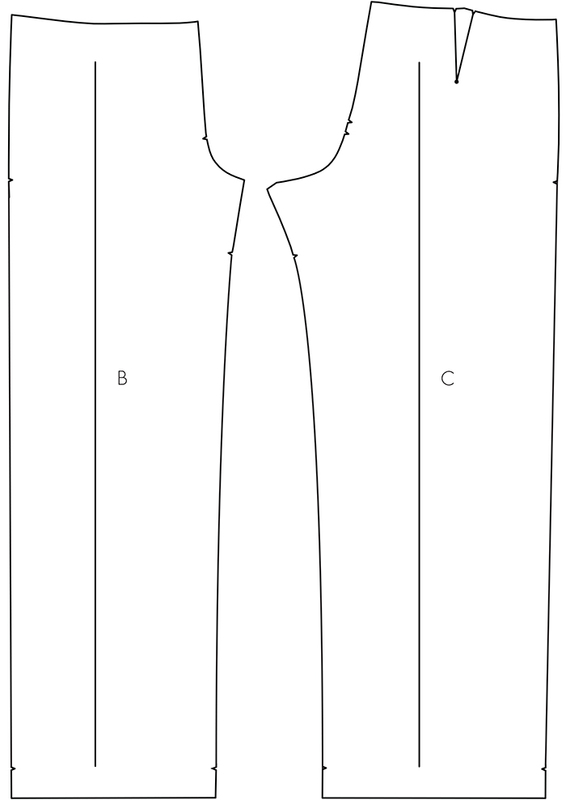 From about 10 centimetres below the notch indicated, draw a line down to the mark you made in step 2. You may need to smooth out the side seam a little. 4. Fold along the line you drew for the hem. Trace the new leg shape to create the fold back for the hem. 5. Cut out the new leg shape and make up your dungarees! 2. 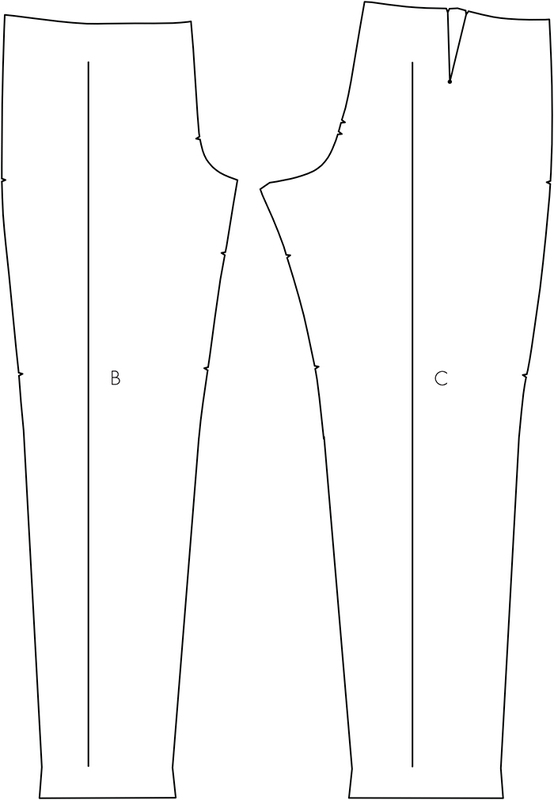 On the outer leg, from the notch indicated, draw a line straight down to the hem. 3. 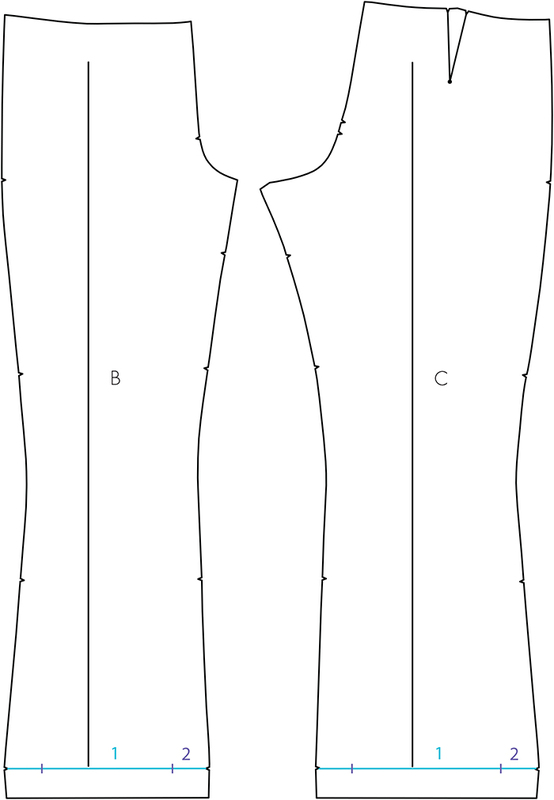 On the inner leg, from the notch indicated, draw a line from the hem up, drawing in a gentle curve as you reach the notch.